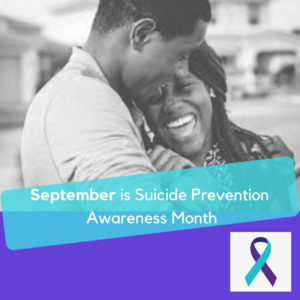 September is National Suicide Prevention Awareness Month, a designated time that we are able to make steps towards building unity and breaking down the stigma surrounding mental health & suicide. According to the World Health Organization (WHO), suicide claims a life every 40 seconds; which equates to 800,000 lives per year! Statistics prove that suicide does not discriminate and can plague anyone… at any status. Though we have not ended this tragic crisis, humanity has made leaps towards prevention and awareness that we must commend. Hannah Lucas was diagnosed with Postural orthostatic tachycardia syndrome (POTS), a condition that affects circulation and causes frequent fainting spells. After worrying she might faint without help nearby, Hannah’s fears led to a suicide attempt. Thankfully, Hannah’s mother walked in during the attempt, and it was not successful. 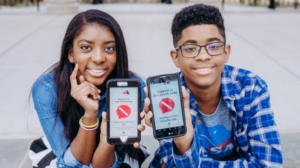 Once Hannah processed her experience, she and her brother collaboratively developed the “notOK app”. In a nutshell, this app provides a panic button which leads to immediate support from family & friends via phone call, text, and GPS location of the person struggling. To find more information on the notOK app and Hannah’s story you can go to notOKapp.com. Babble.com showcased a brave teen who utilized her past experiences with Post Traumatic Stress Disorder (PTSD) and suicide attempts to create a positive and effective form of prevention. 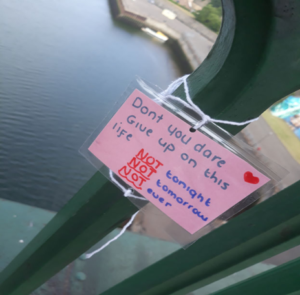 According to Babble, Paige Hunter decided to tie compassionate, laminated quotes on a bridge in hopes that others will be inspired to continue living their lives. As a result, the teen’s efforts have touched 8 people thus far, per Babble. The “Send Silence Packing” movement was founded by Alison Malmon, a suicide survivor. Alison was inspired to create this platform after her brother, Brian, ended his life. The founder imagined that hundreds of college students could identify with her brother’s struggle with mental health and could highly benefit from more awareness. Alison created Open Minds in order to break the silence and combat the stigma of mental health on college campuses. The group further developed into Active Minds—which now hosts a traveling exhibit called “Send Silence Packing”. 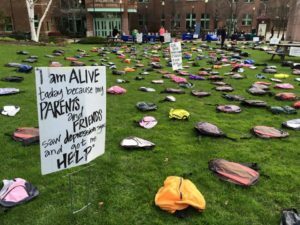 This display surrounds a designated area on campus with numbers of bookbags; each bookbag represents a college student taken by suicide—some backpacks with real pictures of the students. Send Silence Packing has been a positive and impactful vessel to get college campuses talking about mental health and the importance of suicide prevention. For more information on Alison’s story and the movement, please visit ActiviMinds.org. CALM (Campaign Against Living Miserably) created Project 84 in order to shed light on the amount of male fatalities that are attributed to suicide in the UK. According to thecalmzone.net, there are 84 men taken by suicide per week. 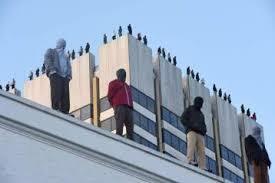 The project took an overt approach and placed exactly 84 sculptures on the rooftops of towers around the city of London—each representing a real person who took their own life. Project 84 influenced many to process the severity of suicide and the need for mental health resources in the United Kingdom. To learn more about CALM and Project 84 please visit thecalmzone.net. 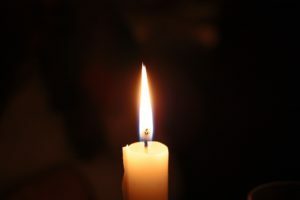 The international Association for Suicide Prevention (IASP) promoted World Suicide Prevention Day by asking people all over the world to light a candle near a window on September 10, 2018 at 8pm. A candle was lit to support suicide awareness, to bring remembrance of loved ones & friends, and to give support to survivors. Leading up to the event, IASP translated e-cards in different languages in order for many cultures to have the ability to send reminders to friends & family of the date, time, and purpose of the act. To learn more about Light a Candle, please visit IASP.info. These are only a few of NUMEROUS charities and projects that advocate towards ending suicide. What are ways that you can help?